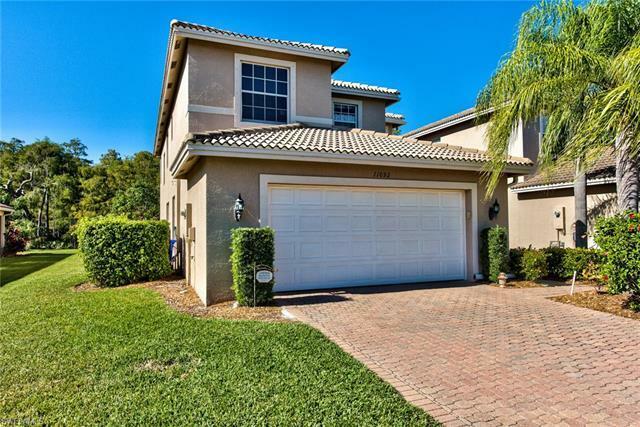 11092 Yellow Poplar Dr, Fort Myers, FL.| MLS# 219009863 | Southwest Florida Residential Real Estate for Sale. Exceptionally spacious 4 bedrooms + den (or 5th bed) & 3 full-bathrooms ready for you and your family to make it home. The formal dining room is dripping with natural light from the immense picturesque window and invites you to enter the cozy family room. An extraordinary kitchen filled with amazing wood cabinetry, dark granite counters, and a remarkably modern backsplash that will wow you. Off the kitchen and living area youâll find the lanai which offers an inconceivably jaw-dropping and undisturbed view of the preserve - your new backyard will forever be a wonderland of nature ready for your family to enjoy. The den (which could easily be your fifth bedroom), a full guest bathroom, and a secondary sitting area are also found on the first floor. Upstairs youâll find the four bedrooms, including the charming master with tray ceiling and outstanding master-bath with his and her sinks, soaking tub, and separate shower. This incredibly inviting home is waiting to grow with your family and will not last long -- come and see it today! Botanica Lakes has so much to offer including the resort style pool and has been voted as one of the best communities in Southwest Florida!